China’s Up to the Mountains and Down to the Countryside Movement had its origins in the mid-1950s, but only truly took off several years prior to the Cultural Revolution (1966-1976). 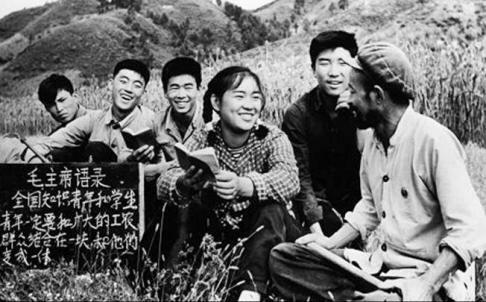 From 1962 to 1979,over 17 million urban educated youth (知青) were dispatched to the countryside, 14 million of which were sent during the Cultural Revolution period. Most of them, especially the so-called “laosanjie” (老三届) – urban youth whose graduation from junior and senior middle school took place between 1966 and 1968 –reached marriageable age （i.e. 18 for women, 20 for men）soon after being sent down. Though they longed to return to their home cities, they were encouraged to take “roots” in the countryside for an entire lifetime. As a result, some sent-down educated youth married partners from rural society, which created further uncertainties and dilemmas concerning their future. Marriage rates among educated youth varied depending on the time period, location, and the circumstances according to which they were sent down. Gender affected marriage prospects as well. As a whole, marriage rates were higher during the Cultural Revolution later years than in earlier periods; higher for the educated youths sent to state-owned farms than for those in production brigades; and higher for females than males. During the first years of the Down to the Countryside Movement, laosanjie youths were still too young to marry. In addition, propaganda and other political instructions advocated delaying marriage during the period of being sent down, even though educated youth were expected to take roots in the countryside. The advocated age at first marriage was 28 for men and 25 for women. The year 1974, however, was a turning point. On 27 January, the front page of the Hebei Daily carried a letter from a female intellectual and college graduate named Bai Qixian, in which Bai expressed her pride in having married a local peasant despite the fact that the marriage itself was an unhappy one. This letter was reprinted by the People’s Daily on 7 February, an event which had great social repercussions. Bai was depicted as a hero for her willingness to marry a peasant. In addition, the parents of sent-down educated youth, especially those who were laosanjie, became increasingly concerned about their children’s marriage prospects. Consequently, national policies turned to encourage sent-down educated youth to seek matrimony in the local countryside. According to the Intellectual Young People Office of the State Council, from 1974 to 1979 the proportion of married youth increased from 7.1% to 15.3%, a steady annual increase during the end of the Cultural Revolution and afterwards. For those youths who joined production brigades, the ratios during the same years went from 7.9% to 15.1%; for those assigned to state-owned farms, they went from 8.7% to 12.1%. Only in 1979 did marriage ratios in brigades exceed those in state-owned farms. In some places, married educated youth accounted for more than 40% of the whole educated youth still staying in those rural areas at the end of Cultural Revolution. Previous researchers have posited three types of marriage practices common among sent-down educated youth: marriage with local villagers, marriage with other educated youth, and marriage with workers in cities and towns. In fact, there was another marriage practice, that is, educated youth marrying young people in their home cities who probably didn’t have any job. Among all four marriage practices, the first – marriage to villagers – was the most common, followed by marriage with other educated youth and marriage with workers. However, regardless of the type of marriage, difficulties often followed soon after the wedding. The first source of difficulty was life in strained circumstances. Many sent-down educated youths married peasants due to personal and economic pressures. If the peasant family had some material basis, they experienced a less stressful life after marriage. But, for those who married other sent-down youth, life was much more difficult, particularly in housing. They had lost their educated youth’s identity and were regarded as an ordinary farm household even though they did not have the material resources of a traditional peasant family. The second set of difficulties resulted from maintaining long-distance marriages. For sent-down educated youth who managed to marry urbanities including workers in cities and towns, separation after marriage was a relatively common phenomenon. Some married female educated youth who were engaged in agricultural work violated policy in order to return, unauthorized, to the city, where they often stayed with their husband’s families instead. Those who managed to obtain salaried jobs, such as cadres, community-supported teachers, barefoot doctors, agricultural technicians, and loudspeaker broadcasters for communes and brigades actually faced even more restrictive conditions with respect to mobility and longed for an opportunity to visit relatives, leading to painful and lengthy separations from husbands and children. The third, and perhaps the most important difficulty concerned the return to the home city, as many sent-down educated youths started to do from 1978 onward. Some unmarried educated youth were able to return after being recruited as workers, while others “retired” from the countryside due to illness and debilitations incurred during the period of rustication. According to two key documents, the Intellectual Young People Office of the State Council “Report Requesting Directives Concerning Issues in the Policy to Send Urban Educated Youth Up to the Mountains and Down to the Countryside” (国务院知青办《关于城镇知识青年上山下乡方针问题的请示报告》), issued on July 20, 1978 and a central document (中发 74号) passed by the Second National Work Conference on Educated Youth Sent Down to the Countryside held later that year, married youth were theoretically able to return to the city as well. However, those educated youths married to peasants or to workers from other cities were forced to either give up the idea of returning entirely, or to arrange for a divorce. Households created by “double” sent-down educated youth marriages were confronted with a similar problem, as educated youth couldn’t simultaneously be hired in the same city if they came from the same city and could only return to their original home cities if they came from a different city. In order to smooth over objections to these obstacles, both the central government and local governments adopted a range of measures. The children of educated youth married in the countryside were allowed to change the rural hukou into an urban hukou, and their grain and oil rationing registration into commodity grain; one child under fifteen years of age per family was allowed a hukou transfer to the original mobilization city of his or her parents. However, married educated youth who themselves had a great longing to return home in some cases chose to divorce, which impacted their families greatly and left bitter memories. Others ultimately bowed to an undesirable fate, and a part of them remained a strong desire for a life beyond the countryside which gradually eroded their marriage. With the founding of the People’s Republic of China in 1949, the state power gradually intervened into private life, including marriage. During the Cultural Revolution, the marriage of sent-down educated youth, particularly to peasants, was not only the result of calculations of utility and personal helplessness but was also a politically significant symbol of going against the tide. In this sense, it provides an important perspective on the physical and mental agony that the Cultural Revolution caused for the educated youth. Furthermore, it could be argued that the personal and matrimonial happiness of some of the generation was thrown away as the result of Cultural Revolution policies. From voluntary events of land reclamation in the 1950s into mandatory mass movements for the so-called re-education in the Cultural Revolution period, “Up to the Mountains and Down to the Countryside” ultimately led to unexpected negative consequences, including on sent-down youth’s marriage. This is a profound lesson for Chinese policymakers. However, the extent to which it has been fully understood is questionable. 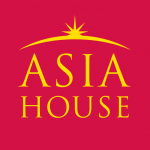 A few years ago, many local governments continued to disregard local conditions and made real estate development a pillar industry, which has evolved into a “city-building movement”, giving rise to “ghost towns” and leaving relevant governments, developers, and investors in economic difficulty and many of the migrants in highly uncertain life conditions. Today any form of mass movement should be avoided. The State should also refrain from intervening too much in the economic life, especially in the personal economic life, lest it otherwise risk putting both the government and, most importantly, the individuals affected by its policies in a predicament with far reaching consequences. Tang Shuiqing is a visiting scholar at the University of Oxford China Centre, a senior research fellow, deputy director of the Academic Committee, and director of the History Institute at Jiangxi Academy of Social Sciences in China, and vice-chairman of the Society for Modern Chinese History in Jiangxi province. Image credit: CC by kongharald/flickr.